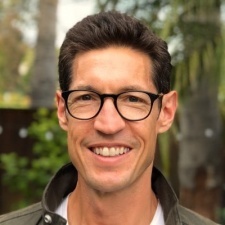 In a post on Linkedin, studio head and Crystal Dynamics vet Darrell Gallagher (pictured) announced the hire of Brian Westergaard, Annie Lohr. Christian Cantamessa, Blake Fischer, Daniel Neuburger as well as Lindsey McQueeney. Westergaard joins - likely in a production role - having previously worked at Sony Santa Monica as lead producer. Prior to that he worked at EA and Crystal Dynamics in similar roles. Meanwhile, Lohr has been hired as a recruiter from Snapchat parent firm Snap. Her CV is mostly games related, however, with stints at Microsoft, Riot Games and Respawn Entertainment. Cantamessa comes on board as a narrative consultant. Between 2001 and 2010, he worked at Rockstar North and San Diego with his portfolio including Red Dead Redemption, Grand Theft Auto San Andreas and the Manhunt games. Before that he worked at Ubisoft. Microsoft vet Fischer has joined in a yet unknown role, previously worked as senior director of portfolio planning at the Big M. Prior to that he was a journalist, editing Future's Next Generation magazine. And last by certainly not least, Lindsey McQueeney has joined as HR and culture manager. Her CV before that includes stints at Google and Crystal Dynamics. "I’m really excited to add to the team at The Initiative," Gallagher said on Linkedin. "We have had an incredibly positive response from the development community after our E3 announcement and I’m pleased to share some of the talented people already on the team." Microsoft announced The Initiative at E3 2018, alongside the news that it had bought four other studios in Playground Games, Undead Labs, Compulsion and Ninja Theory. We caught up with CVP Matt Booty in the aftermath of this cash splash, who took us behind the scenes on this spending spree.